4084 two-way indirect passengers in 2017. Large Lithuanian communities live in the region. 1703 two-way indirect passengers in 2017. Has VFR potential as large Lithuanian communities live in the region. 1742 two-way indirect passengers in 2017. Has VFR potential as large Lithuanian communities live in the region. 1489 two-way indirect passengers in 2017. The city in western Germany features potential for business travel, while large Lithuanian communities lives in the region. 6514 two-way indirect passengers in 2017. 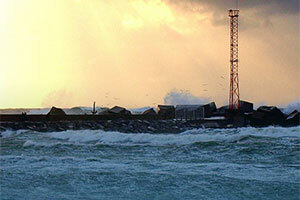 The major port city in northern Germany features potential for business travel. Also has VFR potential since Lithuanian expats live in the region. 2644 two-way indirect passengers in 2017. 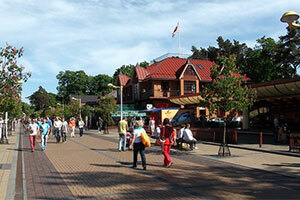 The capital of Finland, Helsinki features potencial for business travel. 1703 two-way indirect passengers in 2017. There is inbound tourism potential for this route. 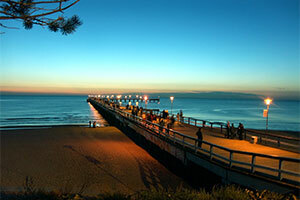 Palanga, a seaside resort town in western Lithuania, is also the busiest summer resort in the country owing to its beaches and sand dunes. Palanga Airport is situated close to the Baltic Sea and the ice-free port of Klaipėda, which serves as a port of call for cruise ships as well as freight transport. 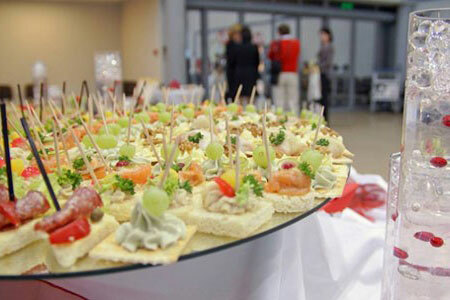 The west of Lithuania is the second region of the country for attracting foreign investment. 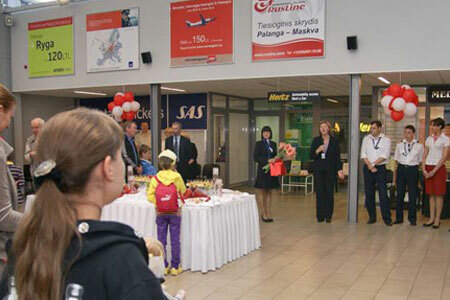 On 26 June 2011, Palanga Airport celebrated with a special event in the terminal that included nibbles and refreshments having been offered to passengers on the inaugural flight as the Lithuanian Baltic Sea coast airport regained a connection with Moscow Domodedovo by RusLine. As of December 2015, the airport is linked to Riga (airBaltic), Oslo Gardermoen (Norwegian) and Copehangen (SAS). 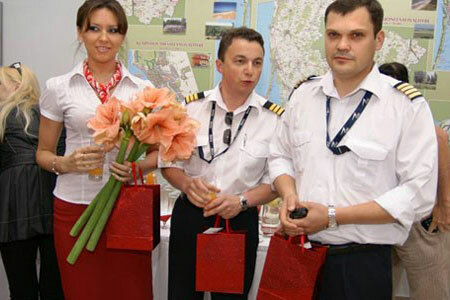 Lithuanian Airports’ route development and marketing team is fully dedicated to the development of your airline business, marketing plans and promotion of your products. Possible support from Klaipėda region. 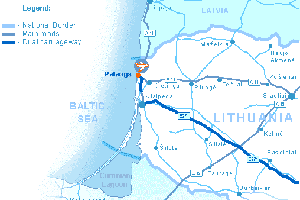 Lithuania is served by three commercial airports, namely Vilnius, Kaunas and Palanga. Classified as the third busiest airport in the country, the facility is located near the resort town of Palanga at the Baltic Sea. 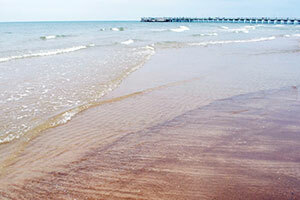 Officially Palanga has the status of a city municipality and includes Šventoji, Nemirseta, Būtingė and other settlements, which are considered as part of the city of Palanga having a population of around 17,600. 180-minute catchment area – 700,000 population. Palanga Airport doesn’t feature any freight opportunities at this stage, please contact airport for more information. 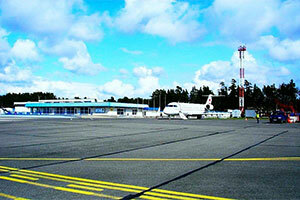 Palanga Airport is situated in an excellent geographical location with great economic potential. 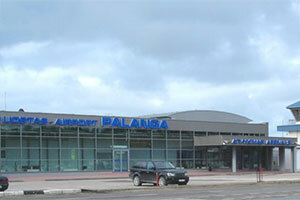 Having accommodated around 132,931 passengers in 2014, Palanga is the third busiest airport in Lithuania focussing on short and mid-range routes to European destinations. As of March 2016, Wizz Air will launch flights from London Luton, while LOT Polish Airlines will commence operations from Warsaw Chopin. 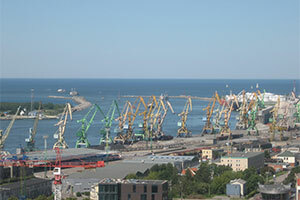 Located close to the Baltic Sea and 35 kilometres away from the ice-free port of Klaipėda. Terminal: One terminal building, having been modernised in 2011, with a capacity of 500,000 passengers per year. Passengers: 295,407 passengers served in 2017 (144.080 scheduled and 1.361 charter). Freight: 31,5 tons of cargo served in 2017. The airport had doubled the number of served passangers in recent two years (2015: 145,441 PAX; 2017:297,197 PAX).